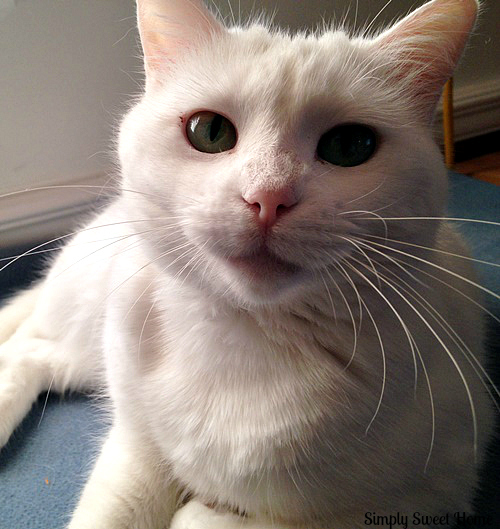 If you read my blog regularly, you know I’m “all about my kitty babies.” As a cat mommy, one of the biggest challenges I have to deal with is litter box scooping and eliminating unpleasant litter smells. For this, I rely on Tidy Cats. In the past I’ve written about their various products I’ve tried, and today I’m here to talk about their latest. It is Tidy Cats 4-in-1. It provides powerful clumping (no more weak and messy clumps). And it’s also 99.6% dust free! I’ve been using the new litter for the past couple of weeks, and the cats have really taken to it, and it does a great job of eliminating odors. 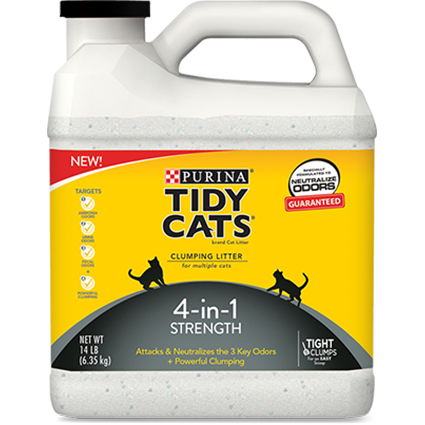 I think I will still continue to buy Tidy Cats light weight litter, simply because I do the grocery shopping for our household, and it’s just easier for me to carry (not to mention, it’s super effective), but this new 4-in-1 product is also very good. If you’re a Tidy Cats user, and you enjoy experimenting, this product is definitely worth a try.